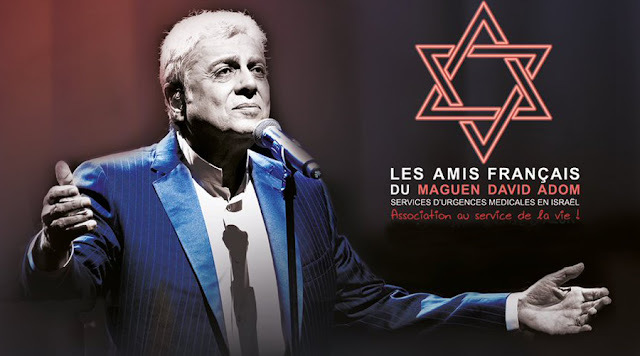 The Moroccan Academic and Cultural Boycott of Israel (MACBI), a boycott movement, has called for the boycott of French singer Enrico Macias’s concert in Casablanca scheduled for next month. Macias really is a Zionist. Here he is accepting an award from Migdal. Moroccan anti-Zionists are taking an old poster of Macias fundraising for Magen David Adom and pretending that this Casablanca concert is meant to raise money for Israel. Macias has tried many times to return and perform in Algeria, which he left in 1961, but the Algerian government has consistently denied him. Notice that this article is not saying that MACBI is trying to stop the concert, but only to get people not to attend. Which is in itself an indication that the Morocco boycott movement is more noise than anything else. Macias has given concerts in Egypt without any issues, including at least one that was televised.